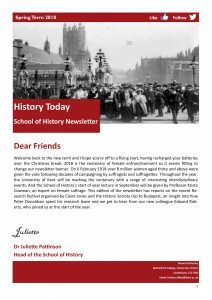 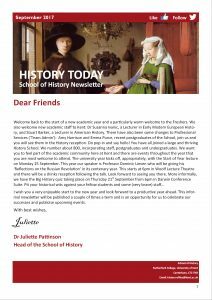 The latest edition of our School newsletter, History Today, is now available to download here: History Today June 2018. 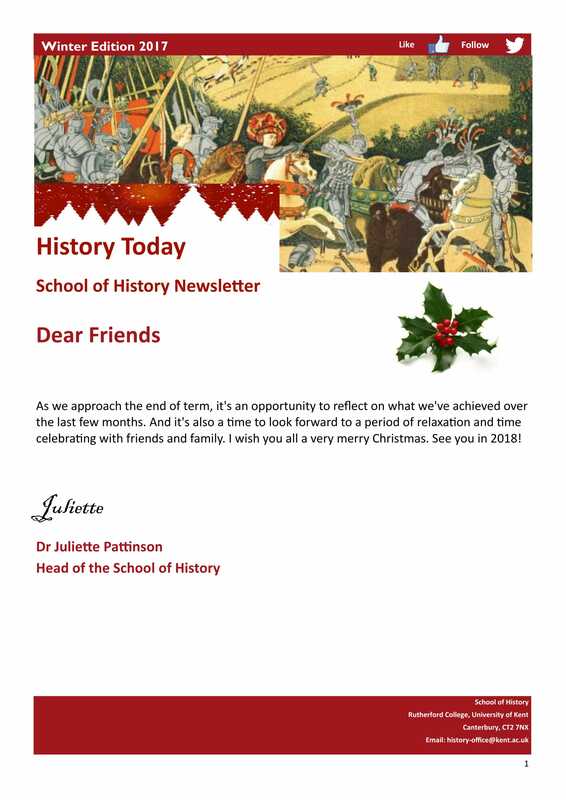 Released monthly, the newsletter features the latest news and updates from the School, as well as upcoming events and recent student and staff achievements. The latest edition of our School newsletter, History Today, is now available to download here: History Today September 2017 . 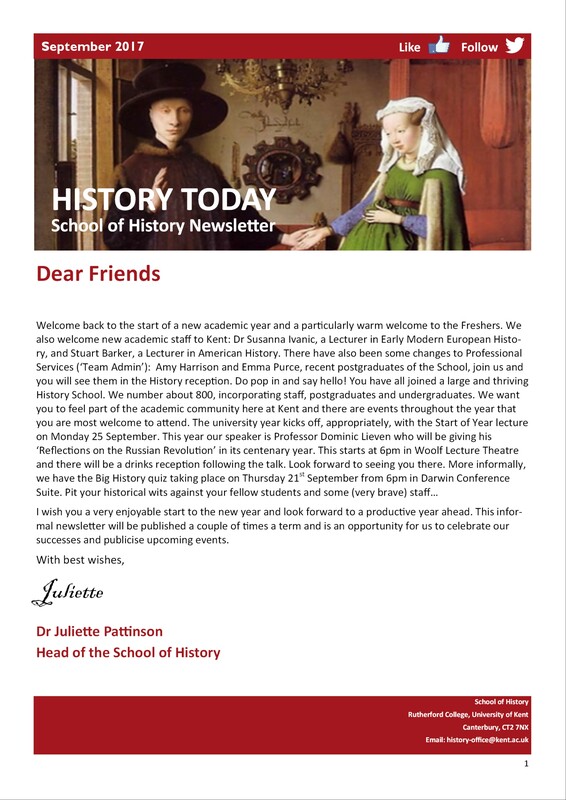 Released monthly, the newsletter features all the latest news and updates from the School, as well as upcoming events and recent student and staff achievements.